San Diego Deportation Defense Lawyer by Habib Hasbini, Attorney at Law. If you or a family member is facing removal from the United States, you’ll need an attorney to fight the case. Here’s what to expect. Both these ideas are, while understandable, misguided. 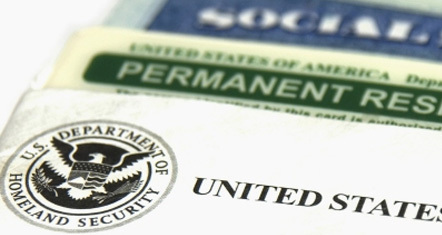 Immigration court proceedings are less formal than normal court proceedings. No jury will be present, less scripted legal language needs to be used, and everyone generally understands that the immigrant may not be familiar with American legal procedures. The immigration judge (IJ) is expected to act in an impartial manner. That means that he or she is not supposed to automatically side with the attorney who will be there for the Department of Homeland Security (DHS), but to consider both the DHS’s arguments and the immigrant’s before coming to a decision. That is where the good news ends, however. The IJ is not going to think up legal arguments for you, nor help you present your case. The judge may not even know about circumstances in your case that might warrant a favorable decision or an exercise of discretion — and, with a busy court docket, probably doesn’t have the time to interview you and find out. In short, if you show up in court with a charge of being removable — perhaps because you are in the United States without authorization, or got convicted of a crime after obtaining your green card — and you can’t come up with any reason why you shouldn’t be deported other than, “I work hard and have a family here,” the judge will have no choice but to deport you. (This doesn’t happen at the first, master calendar hearing, however. At that time, the judge will no doubt strongly urge you to get an attorney to help you figure out whether you have any defense against deportation. and refocus on people who present some real threat to U.S. society. information presented to him or her. should do their best to muster up enough money to pay a lawyer. nonprofit (charitable) organizations that help immigrants and refugees.